For general operation, the V860IIS features full bounce flash capabilities, including tilting from -7 to 90° and rotation left and right 180°. 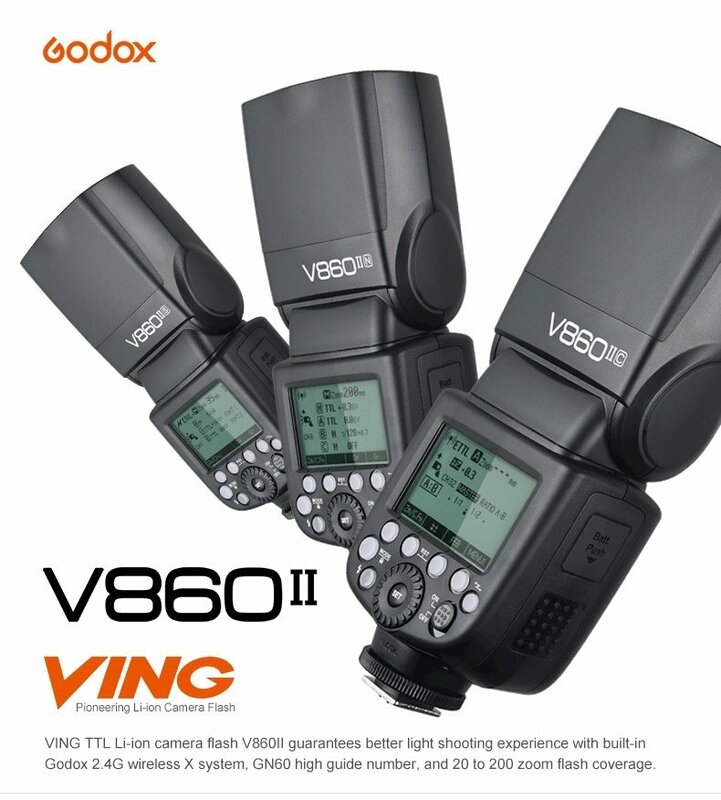 As a ADI / P-TTL-compatible unit, this flash offers support for high-speed sync, flash exposure compensation, 1st and 2nd curtain sync, and much more. Additionally, it can function as an optical master or slave unit if needed. In addition to the hot shoe and wireless triggering, the V860IIS offers a 2.5mm sync port for a wired connection to a camera or receiver.